If you’re not changing, you’re stuck. If you’re stuck, you’re falling behind. Whoa! The two plugins I have in the WordPress Repository have hit over 10,000 downloads between them. That is absolutely insane to me! It really means a lot and is super awesome that there are so many WordPress sites that are using my plugins. Thank you a ton! About two years ago I signed up for a daily email list called The Listserve. The Listserve is a daily email lottery, where they choose one person from their ever growing list of subscribers, who then gets to send an email saying whatever they would like to the entire list. Currently there is 24,751 subscribers from around the world on the list. Daily messages have included personal stories, various tips, random thoughts, positive statements, random thoughts and more. The concept is awesome and I love being able to get a different email, daily, from someone I would never have gotten the chance to hear from. It provides a nice break from the usual set of emails I get daily. Recently, I was told about PhotoYOLO, which was inspired by The Listserve, but rather than a daily text email, it delivers you a different photo to your inbox from one of the subscribers. The creator Kaitlyn believes a photo in itself can tell a story, and let’s subscribers tell theirs through a photo that they have taken. I enjoy and look forward to receiving both of these emails daily. So if you are looking for something different and interesting in your email, I would highly recommend subscribing to both of these lists. As of today, Windows XP is no longer supported by Microsoft. One of the most widely used operating systems of all time and one of the most successful products from Microsoft, it was installed on most computers in homes, offices, and schools. Many systems still use this as their main operating system. While you are still able to run it, the discontinuation of support from Microsoft opens it up to vulnerabilities as time goes on. If possible, updating to a newer operating system is highly advisable. With the popularity of Windows XP, the “Bliss” default desktop background has risen to become one of the most recognizable photographs in the world. Thank you Microsoft and Windows XP for over a decade of awesome service! The newest release of WordPress, 3.7 “Basie”, has a few new huge features, the biggest one being automatic updates. This feature allows WordPress to apply maintenance and security updates without the site administrator having to do anything. This is a huge feature that will keep WordPress installs up to date to the most recent release, helping out to keep sites as secure as possible. This is especially helpful for those who have had a website built for them on WordPress and don’t want to or are unable to manage updates like this. This new feature also has improved the update process with new checks and safeguards to make the process more reliable and secure. Another one of the major updates in this release is stronger password recommendations. When creating a new password in your WordPress site, it gives you a visual measure of how strong your password is. Since your password is your sites first line of defense, a strong and secure password makes it more difficult for someone who shouldn’t be from accessing your account. The first WordPress plugin that I wrote, No Image Link, hit 1,000 downloads today! It might not seem like a lot to you, but knowing that many people around the world are using some code I wrote while sitting in my living on their website is pretty neat to me. If you use WordPress, check it out in the WordPress Repository. I recently had this image created depicting my dog, Leo and myself as characters from the show Adventure Time. I thought it was totally mathematical and wanted to share. /wp-content/uploads/2014/02/scott-werner-web-logo.png 0 0 scott /wp-content/uploads/2014/02/scott-werner-web-logo.png scott2013-05-04 23:54:182013-05-04 23:54:18It's Adventure Time! As of today, I have taken over control of a plugin in the WordPress repository. The plugin is called Relative Image URLs and what it does is changes image urls from absolute to relative. The original developer of the plugin had not updated it in over three years and has since went out of business. This was a feature that I had needed for my own use and rather than create a new version in the repository, I decided it was best to try and update the existing one. Being a web developer, many of times I have wondered why blue was chosen as the default color for hyperlinks. Was it a random pick? Maybe just someones personal preference? Well, came across the answer while reading an article and I’m sharing it with you, so that you will not be kept up at night while trying to figure it out anymore. Even though nowadays we have the ability to change links from the default style, it is pretty crazy to think how one person’s decision is able to completely change the way millions of people identify hyperlinks. /wp-content/uploads/2014/02/scott-werner-web-logo.png 0 0 scott /wp-content/uploads/2014/02/scott-werner-web-logo.png scott2013-04-26 11:32:512013-04-26 12:21:45Why Are Hyperlinks Blue? 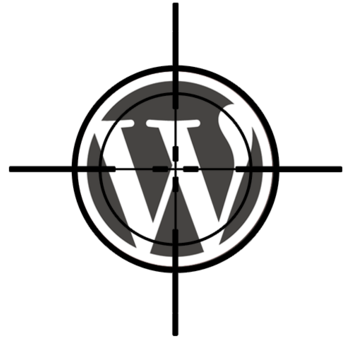 A few days ago I became aware of an attempt to hack into WordPress sites to create a botnet. Basically what they are doing is finding websites built on WordPress, then trying to Brute-Force login to the site. After I read that article, I installed a plugin that limits login attempts and locks a user out after ‘X’ amount of attempts. Within an hour of installing it on all of my sites, I noticed failed login attempts. These kept coming in and it appears they are only using the username ‘admin’ to try and gain access. An attack like this is most likely trying the username ‘admin’ alongside the most common passwords that people use. Matthew Mullenweg, founding developer of WordPress, has suggestions for site administrators to get more secure, including not using the username ‘admin’. “Do this and you’ll be ahead of 99% of sites out there and probably never have a problem. Most other advice isn’t great — supposedly this botnet has over 90,000 IP addresses, so an IP limiting or login throttling plugin isn’t going to be great (they could try from a different IP a second for 24 hours).” Mullenweg wrote. So, if you still use the username ‘admin’, change it immediately, and if you are using a common password, such as ‘1234567’ or ‘qwerty’ change it immediately to something more secure, such as one with letters. howsecureismypassword.net is a great tool to check the strength of your password.